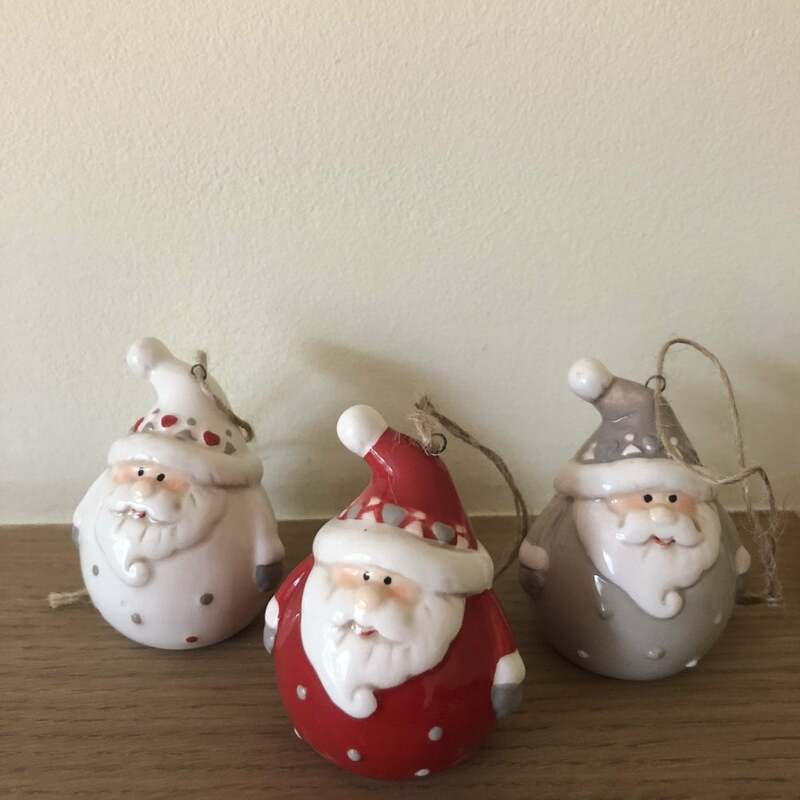 These cute santa baubles from Ruddick Garden Gifts are made from ceramic with a string hanger and come in a set of 3 available in white, grey and red. These santa baubles are a fun decoration for your Christmas tree and come in an acetate box. The santa baubles measure 6.4cm in height.